There are two mosquitoes in the United States that are able to spread the Zika virus. These two mosquitoes are also primary carriers for many of the other dangerous viruses mosquitoes can spread, such as West Nile, dengue, malaria, chikungunya, and yellow fever. What two mosquitoes are we talking about? The Aedes aegypti and the Aedes albopictus. In Maine, we are fortunate to not have the Aedes aegypti, arguably the worst of the two. But, Aedes albopictus can be found in great numbers throughout Southern Maine, and these mosquitoes are considered a bridge vector for West Nile, which has claimed the lives of several Maine residents in the past. You might wonder, "How can mosquitoes be a danger in a state that has longer winters?" It was shown, in several tests, that the extrinsic incubation period for West Nile in Aedes albopictus held at 26 degrees C was estimated to be 10 days. That gives these mosquitoes a long time to transmit viruses, like West Nile, even in lower temperatures. What does this mean for Maine residents? It is becoming more and more vital to take precautions if you plan to spend any time out in nature. Here are some suggestions for preventing mosquito bites when you leave home or just hang out in your backyard. Mosquito repellent is still the number one way to ward off mosquito bites. It is not 100% protection, but it will reduce bites. Be sure to use a repellent that has DEET. If you're concerned about putting chemicals on your skin, consider oil of lemon eucalyptus as an alternative. Wear long sleeves and pants whenever possible. This will give mosquitoes less skin to attack. But, be aware that mosquitoes can bite through some shirts--as you are probably already aware. To prevent bites through clothing, spray repellent on your clothing and hat. This is also a good idea if you don't want chemicals on your skin. It matters what colors you wear. Mosquitoes have horrible eyesight. For this reason, they will often fly low and use the contrasted silhouettes against the horizon to find their targets. If you wear bright colors, you can actually make yourself harder for mosquitoes to see. Mosquito netting. If you've ever gone camping, there is a good chance you've used it to keep mosquitoes from biting you in your sleep. But do you know that there is clothing you can purchase that has netting on it? There are nets that will cover just your head. And some that go all the way from your head to your ankles. If you live in a place where mosquitoes or blackflies eat you alive while you mow your lawn, this type of apparel can be significant protection. Go out in midday. Mosquitoes are most active in the morning and evening when there is less direct sunlight. If you refrain from going out during greater mosquito activity, you can reduce bites. Lifestyle changes. Mosquitoes are drawn to CO2 emissions, sweat, and high body temperatures. If you do strenuous exercise outside, you can expect to get more bites. Changing your lifestyle can reduce those bites, like jogging on a treadmill instead of outside, and refraining from sleeping outside. You can also adapt your lifestyle, like wearing netting while jogging and doing your cooldown inside where no mosquitoes will be biting you. If you live in a town or city center you're going to get fewer bites when you go out into your backyard. This is simply because there are more people to bite and fewer breeding sites for mosquitoes. Fans. Mosquitoes are horrible fliers. That is why a good breeze can keep them away. If you don't have a breeze in your backyard, consider making one. There are some plants that draw mosquitoes into your yard and some plants that repel them. While plants that repel mosquitoes are not all that useful for keeping mosquitoes from coming onto your property or biting you, reducing plants that draw them in can reduce mosquito populations. Reduce sources of standing water. It doesn't take much water for mosquitoes to breed. They can breed in an obstructed gutter on your home. Search for any areas of still water on your property and alter those areas to prevent water from collecting. The number one tool in the fight against mosquitoes is mosquito abatement services from pest control companies. This is the first line of defense government agencies and municipalities use. But what the U.S. government does is only a partial solution. Businesses and homeowners need to take part to make this control measure fully effective. 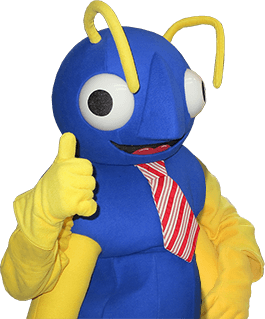 If you live in Southern Maine, give Big Blue Bug Solutions a call. We'll walk you through all you need to know about mosquitoes, virus threats, and how mosquito services create buffers to stop viral outbreaks. Mosquitoes aren't just annoying anymore. They can be deadly.